As Canadians commemorate the nation’s 150th anniversary in 2017, few among us are thinking about what happened 100 years ago. When we do think about 1917, it evokes for many Canada’s coming of age in the great World War I victory at Vimy Ridge in April of that year. 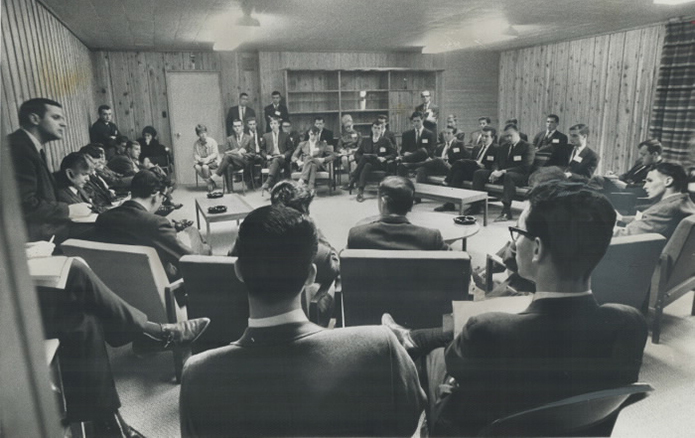 However, another momentous event affecting all Canadians in deeply personal and financial ways also took place – though it is often forgotten. The government passed a law bringing income taxes to Canada. One hundred years later, there are no events, no stamps, no coins, no conferences and no celebrations – despite its major impact on Canadian history. 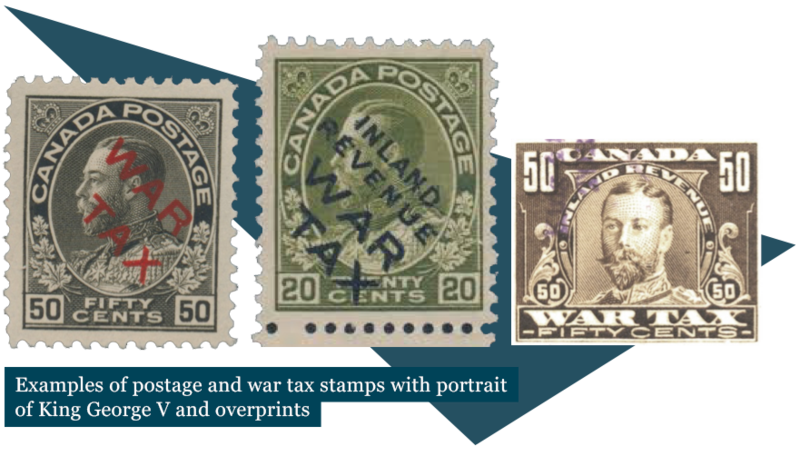 Nevertheless, Canada’s war bill had climbed to more than $600 million (in 1916 dollars). A variety of measures – including excise taxes, import duties and special postage stamp levies – were falling catastrophically short of meeting Canada’s ability to pay. And our nation was moving ever closer to the tax-robbing prohibition on alcohol consumption and even more costly conscription. By the summer of 1917, Borden and White had changed their minds. They introduced legislation to the House of Commons on July 25 and the Income War Tax Act passed on August 17. Canada adopted a tax of four per cent on every unmarried man’s income more than $2,000. The exemption for families was $3,000. For incomes more than $6,000, the tax ranged from 2 per cent to 25 per cent. Corporations were not exempted. In the blink of an eye, Canada changed in ways that took decades to fully understand. All of a sudden, the federal government had appropriated the greatest tool available to governments to raise revenues. A permanent fiscal imbalance between the federal and provincial governments was born. 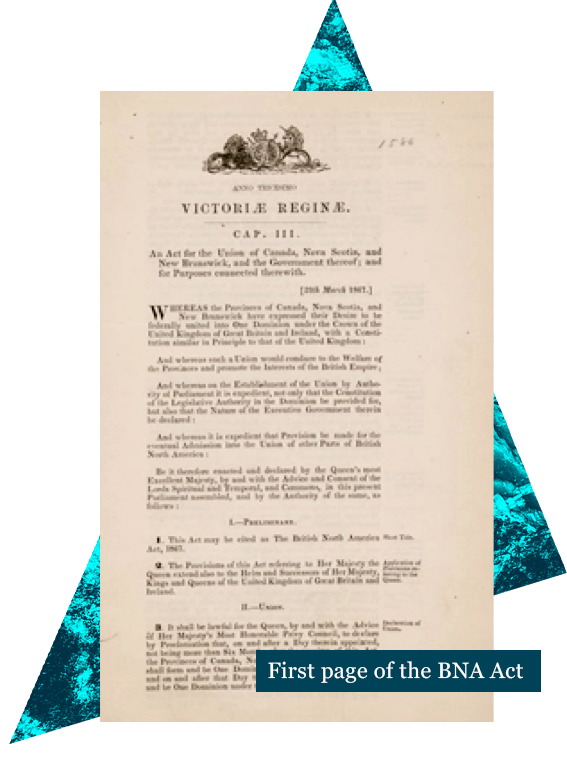 The Constitution Act of 1867 (originally enacted as the British North America Act) presented no issues. Both provincial and federal governments were given free rein to raise revenue through taxes. But the framers had no inkling in July 1867 as to what would happen almost exactly 50 years later. Even in a cursory reading of the Constitution Act, the vision is clear: a highly decentralized federation where the federal government would have broad stewardship of the country through peace, order and good government, while the provinces would do the heavy lifting. The costs of the enumerated responsibilities of the provinces in section 92 of the Act far outweigh those carried by the federal government. Sub-sections 6, 7, 8, and 14 alone call for provincial responsibility over matters that now cost their treasuries almost 80 per cent of the revenues they raise. By the 1920s, the level of government with the fewest financial responsibilities had much more money than it required, while the provinces were left with major responsibilities but limited resources. Ever since, Canada’s premiers were judged by their ability to squeeze revenues out of Ottawa, while prime ministers and finance ministers were judged by their ability to close the faucets. During the Great Depression, Ottawa ran surpluses while two provinces – Alberta and Saskatchewan – defaulted on their provincial debt. Newfoundland and Labrador, a province-to-be, also defaulted. In Ontario, many municipalities could not meet their obligations and it was not until the later 1930s that the provincial government was able to finally bail them out. There were some constitutional amendments to redress the imbalance. The hardships of the Great Depression resulted in a 1940 amendment allowing the federal government to launch unemployment insurance. The movement to provide older Canadians with pensions led to the constitutional amendments of 1951 and 1964, allowing the federal government to levy payroll taxes despite it being an area of provincial jurisdiction. In the 1940s, the courts clarified that the federal government had a new instrument called “spending power,” meaning it could spend money in areas considered provincial jurisdiction. That led to the Baby Bonus, modern Old Age Security and, eventually, refundable tax credits. It should not be forgotten that the income tax windfall came just in time to fuel a great national era of infrastructure development: roads, indoor heating and plumbing, refrigeration, the revolution in electrical lighting, industrial-grade steel and much more. The only sure way to redress the fiscal imbalance between Ottawa and the provinces is to amend our constitution. 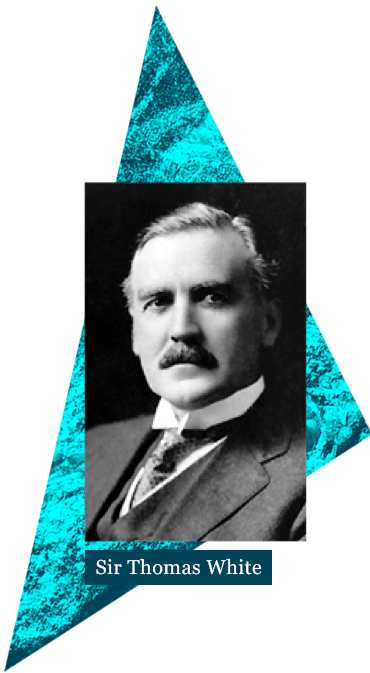 Alexander Maclean, then opposition leader, was not so much prescient as merely a canny student of human nature when he predicted 100 years ago that Ottawa was unlikely to stop the money rolling in after repaying its war debt. Less than a decade after that was accomplished, Prime Minister Mackenzie King openly bragged in the House of Commons about his capacity to bully the provinces. Canada is the most decentralized democracy on the planet. The last time the federal government had a share of Gross Domestic Product larger than the provinces combined was 32 years ago in 1985. The federal government generates less economic wealth than the provinces collectively. Yet it levies far more income taxes in every province and territory. There is a general consensus that Ottawa needs to share those taxes with the provinces. But save for the crucial equalization mechanism in section 36, with its commitment to equal opportunity, our constitution – after 150 years as a nation – remains silent on how tax sharing should happen. As a result, Ottawa and the provinces are constantly squabbling over spending on things like health care without a rule book. Let’s celebrate our tax centennial by appointing a Royal Commission on an amending formula that would actually work. After Pierre Trudeau’s Victoria Charter of 1970 failed to result in the adoption of an amending formula, Trudeau repatriated Canada’s Constitution in 1981 with not one, but five amending formulas. Amending our constitution is a political killing field for any issue of substance. Sure, we amended it to allow Prince Edward Island to have a fixed link to New Brunswick (PEI’s ferry service was enshrined in the British North America Act). To his credit, Prime Minister Brian Mulroney tried twice to obtain the necessary agreement from the provinces to amend the constitution in order to ensure a lasting place for Quebec and other distinct cultures in Canada. He failed at both Meech Lake and Charlottetown. For his trouble, Mulroney’s Conservatives were reduced to a “party of two” in the election of 1993. No prime minister since Jean Chretien – who decreed that constitutional change was off the table – has gone near it on issues of any consequence. We won’t go near it even to fix the Senate. Dare we raise the topic in the context of Canada’s fiscal imbalances? Canadians profess to pollsters that they don’t like income taxes and there is at least 50 years of good evidence that they don’t like constitutional change even if it means almost losing our country – which nearly happened in 1995 with the Quebec referendum squeaker. The problem is that Canadians also don’t like the endless bickering and wrangling between the federal and provincial governments over every money issue from carbon to health and from prisons to fisheries. The fact is that Canada is losing its ability to negotiate with itself. Real debates quickly degenerate into mindless squabbling about who owes who what, all the while absent the rule book that would settle the affair. The current government’s health care funding debacle is only the most recent example and it won’t be the last as Ottawa gears down its payments for health care and a variety of other services. So let’s mark the second century of income taxes in Canada and celebrate the 150th anniversary of a separation of powers between provinces and the federal government in a way that befits the occasion. Let’s collectively admit to the childish pickle we are in and resurrect that moribund Canadian institution, the Royal Commission. Canada has appointed exactly 50 Royal Commissions since 1861. The last one to be appointed (on the Air India tragedy) began its work nine years ago. We have not had such a long hiatus between commissions since 1902. We have not had a commission of inquiry into taxation at the federal level since the Carter Commission completed its work more than 50 years ago in 1966. And our last shot at obtaining an amending formula acceptable to Canadians was 25 years ago in 1992. Isn’t it time for the current federal government to try to do what previous generations of federal leaders could not and end the incessant wrangling about how we govern ourselves and pay for our nation?